Rebellion Racing has added Nathanael Berthon to its World Endurance Championship LMP1 roster for the remaining 2018-19 superseason races, as well as the full '19-20 campaign. Berthon will slot into the line-up of the #3 Rebellion R13, which claimed the only non-Toyota victory of the current superseason at Silverstone after the two Toyota TS050s were disqualified. Rebellion has not announced who will partner Berthon in the #3 car at the remaining rounds at Sebring, Spa and Le Mans, but it is understood the Frenchman will slot in alongside Thomas Laurent and Gustavo Menezes, replacing Mathias Beche. "I am very happy that Rebellion's LMP1 team trusts me," said Berthon. "The idea of participating in the World Endurance Championship and the 24 Hours of Le Mans twice, in 2019 and in '20, with a team and a car playing to win, is a great source of motivation for me. "Rebellion's ambitions are big, and to be a part of this project makes me feel proud and also brings strong responsibility. I want to thank everyone who made this possible. "I can't wait to be in Sebring to get to know the team, the proto R13 and work alongside my future team-mates." Berthon, who is managed by ex-Formula 1 driver Olivier Panis's Triple A Motorsport group, has contested the past five Le Mans 24 Hours races in the LMP2 class. He finished ninth overall and fifth in class as part of DragonSpeed's LMP2 line-up last year. 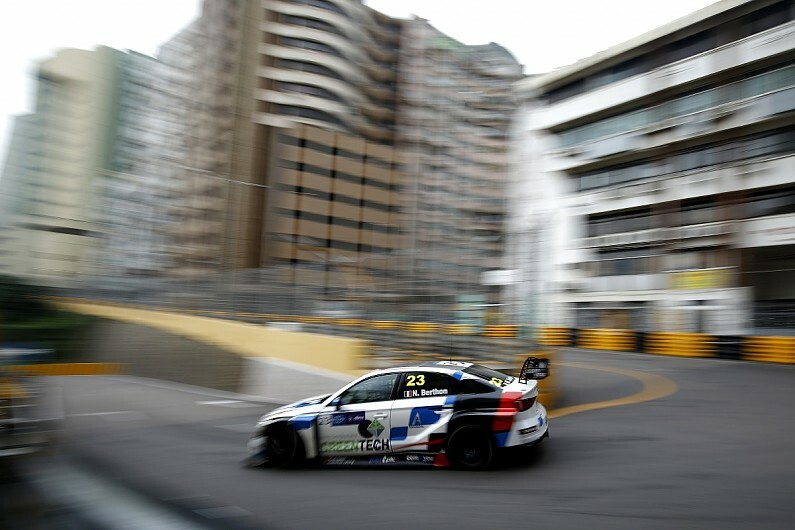 A race winner in GP2 and Formula Renault 3.5, Berthon contested the World Touring Car Cup full-time in 2018 in a Comtoyou Racing Audi, finishing 15th overall with one podium to his name. "I would like to thank Olivier Panis who allowed us to be in touch with Nathanael and to obtain his services," said Rebellion vice-president Calim Bouhadra. "Personally, that's exactly what I love about endurance: that spirit of fellowship and fraternity. "Olivier knows Nathanael very well, knows his value, and that has convinced us that he is the right driver for us to be even stronger against tough opponents like Toyota. "I am sure he will be successful with us."